The Holy Land’s barren hills, fertile plains and bodies of water abound with sites of religious significance. These eight places are not to be missed. The capital of Israel, perhaps the holiest place on earth, is packed with biblical sites, including the Garden of Gethsemane, Garden Tomb, Mount of Olives and Church of the Holy Sepulchre, a place of pilgrimage built on the spot where Orthodox and Catholic Christians believe Jesus was crucified, buried and resurrected. The Via Dolorosa, or Way of the Cross, winds a mile through the Old City and has 14 stations, each with a chapel or marker recalling an incident in Jesus’ final mortal journey. Another must: the sight of Jews praying at the Western Wall, Judaism’s most sacred structure. In West Jerusalem, an important stop is Yad Vashem Memorial and Holocaust Museum. This metropolis on the Mediterranean captures the essence of modern Israel, offering the latest in cuisine, fashion and entertainment. 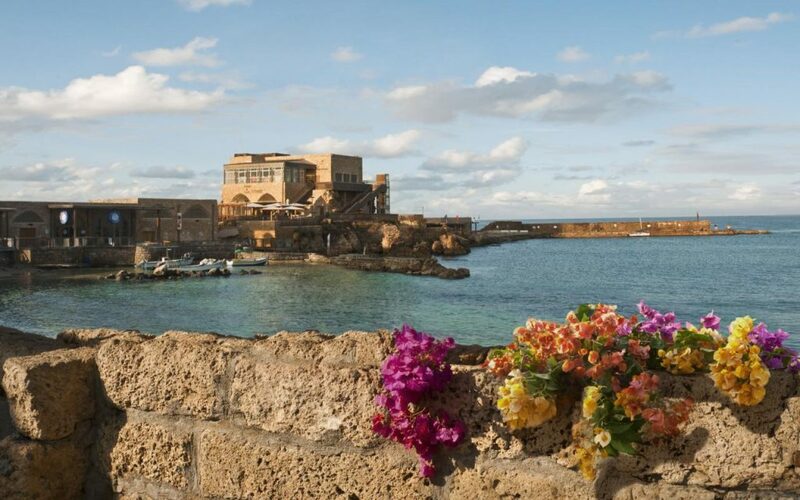 For histor-ical sightseeing, there’s Old Jaffa, the ancient seaport that existed long before there was a Tel Aviv. The cobbled lanes of Jaffa’s old quarter are lined with art galleries, shops and restaurants. Nearby Jaffa Flea Market and surrounding streets typify a Middle Eastern bazaar. 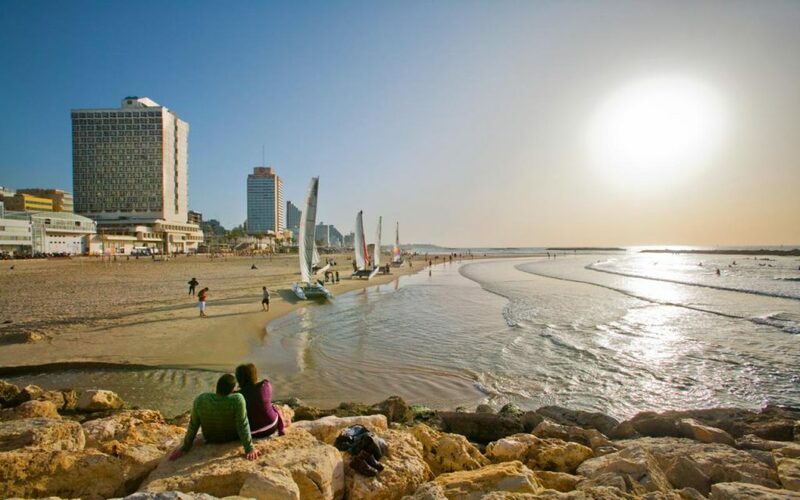 Other Tel Aviv destinations include the palm-lined beach and raucous Carmel Market, where scrappy merchants peddle produce, souvenirs, cheap clothes and tasty street eats. With Tel Aviv’s Ben Gurion International Airport the gateway to Israel, many groups find it convenient to stay a night in the city, either upon arrival or before the flight home. Tour the ramparts, tunnels, subterranean chambers and medieval quarters of this well preserved Mediterranean city dating back to biblical times. As recorded in the New Testament, the apostle Paul visited Akko (Acts 21:7). Conquered by the Crusaders in 1104, the fortified port served as their last capital in the Holy Land after the fall of Jerusalem. A walk through the cobbled lanes of the walled Old City reveals mosques, a Turkish bathhouse, outdoor market stalls with copperware vendors and fishing boats in the picturesque harbor. The town where Jesus spent his boyhood while living with Joseph and Mary is home to the Basilica of the Annunciation, whose domed roof dominates the Nazareth skyline. The church occupies the site of Mary’s cave dwelling, a grotto where, according to Roman Catholic tradition, the angel Gabriel told Mary she would bear the child Jesus. St. Gabriel Greek Orthodox Church of the Annunciation, built over a spring called Mary’s Well, is the spot where Greek Orthodox Christians believe the angel made his announcement, or annunciation. Tour groups in Nazareth also visit Nazareth Village, a collection of reconstructed workshops, farmsteads and houses where costumed interpreters go about every-day tasks common in biblical times. The fishing village of Capernaum, now an archaeological site with the ruins of a synagogue and the House of St. Peter, was the center of Jesus’ Galilee ministry. It was here that Jesus taught in the synagogue, healed the sick, performed many of his miracles and recruited some of his disciples (“Follow me, and I will make you fishers of men”—Matthew 4:19). Nearby are other important Christian sites, including the domed church on the Mount of Beatitudes (the mountain where Jesus preached the Sermon on the Mount) and, in Tabgha, the Church of the Primacy of Peter and Church of the Multiplication. Boat trips on the Sea of Galilee, actually a lake, are popular with Christian pilgrims. One of the largest archaeological digs in Israel, Caesarea was a Roman city named after Caesar Augustus and once the most important seaport in the Middle East. See the beachfront Roman aqueduct, restored Roman theater and hippodrome where chariot races took place, plus Byzantine and Crusader ruins. Caesarea, the seat of Roman government for more than 500 years, was the home of Pontius Pilate and where the Roman centurion Cornelius was baptized by Peter and became the first gentile to convert to Christianity. Paul spent two years in prison in Caesarea. For panoramic views of the Dead Sea and a lesson in Jewish history, ride the cable car or hike to the top of Masada, an isolated rock rising 1,400 feet above the Negev Desert. Now an archaeo-logical site with a museum, the iconic landmark first served as a palace-fortress for King Herod and in 73 A.D. was where 900 heroic Jewish rebels under siege committed suicide rather than be captured by the Romans camped below. Many Israel itineraries include a day or two in a beachfront hotel fronting this mineral-laden lake whose briny water is said to provide relief for sufferers of various ailments. Situated 1,300 feet below sea level and only 15 miles from Jerusalem, the Dead Sea is the lowest spot on earth. It’s de rigueur to go through the ritual of floating effortlessly on the buoyant water—you cannot sink. Another ritual: slathering yourself with oily black mud gathered from the sea floor. At the lake’s northwest corner are the ruins of Qumran, an archaeological site where Bedouin shepherds in 1947 discovered parchment fragments that later became known as the Dead Sea Scrolls.